I have posted a topic on my blog "Types of the Russian Army" (does the format of the title sound familiar to you?) that outlines all of the different combat arms of the SYW Russian army, illustrated with Minden Miniatures. Any thoughts on an Ottoman-Turkish army as opposition? The master blogger post another awesome blog! I'm not planning any Ottomans in the foreseeable future since they were not a participant in the SYW. I do have a stash of about 400 RSM Ottoman castings that may one day make it to the painting table. If I were starting an Ottoman army today, I would make a bee line to the new Warfare Miniatures range and build my army with those figures. 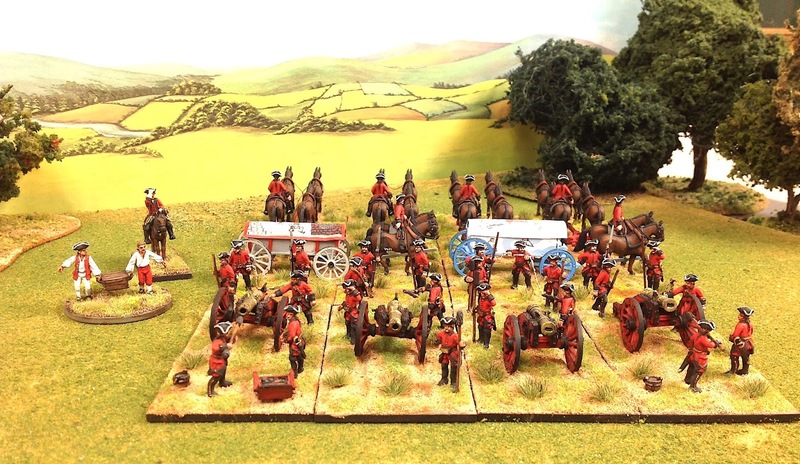 I have a Russian army in 15mm, unfortunately I had it painted in Sri Lanka so a few details are incorrect—e.g., I did not specify that NCOs should have green overcoat. I still have to base them, so I can probably cover for some of these issues.